Today I was at the Farmers Market and I have to tell you that I am in food heaven. 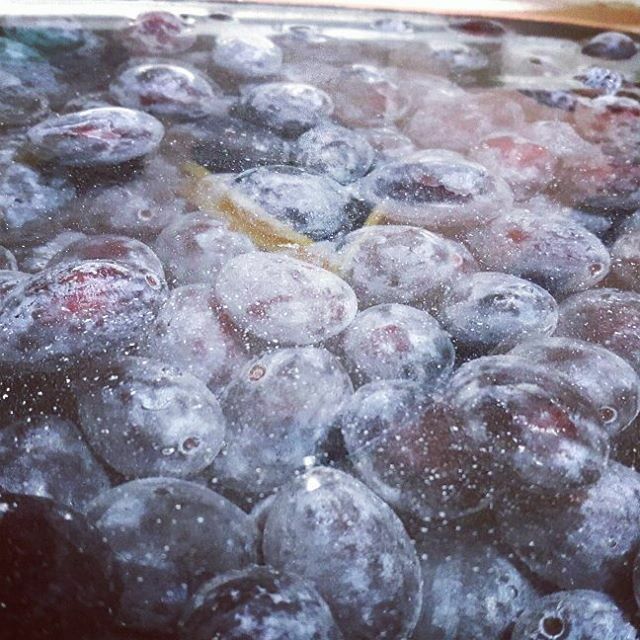 As the summer ended and autumn began I thought I would give you one receipt how to preserve plums and make summer last even in winter. 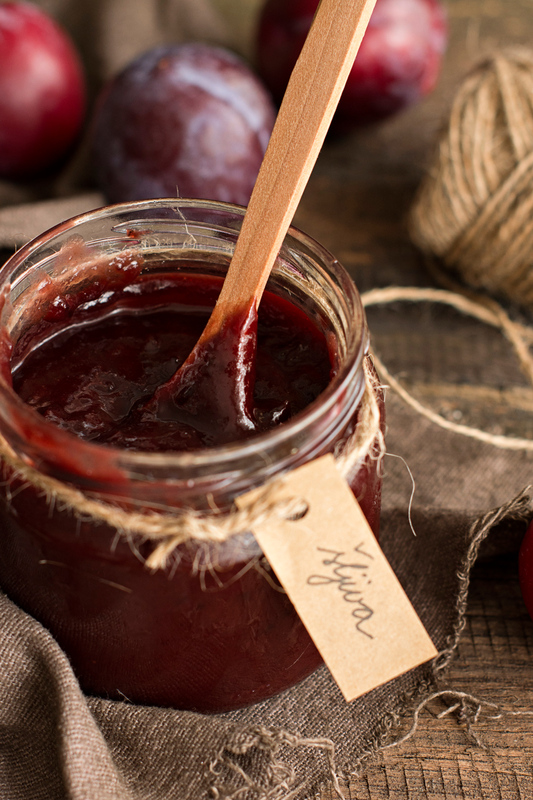 A few years ago I got a plum and chocolate jam from a neighbor, it was fine, but it didn’t sit down very well with me, the taste was somehow a bit ordinary and nothing special. Sometime ago I again remembered that taste and I was thinking how to enhance it to be something special. This time I was playing with some different flavors and I was thrilled when I added rum to the mix. Rum was the one who won as an aroma. 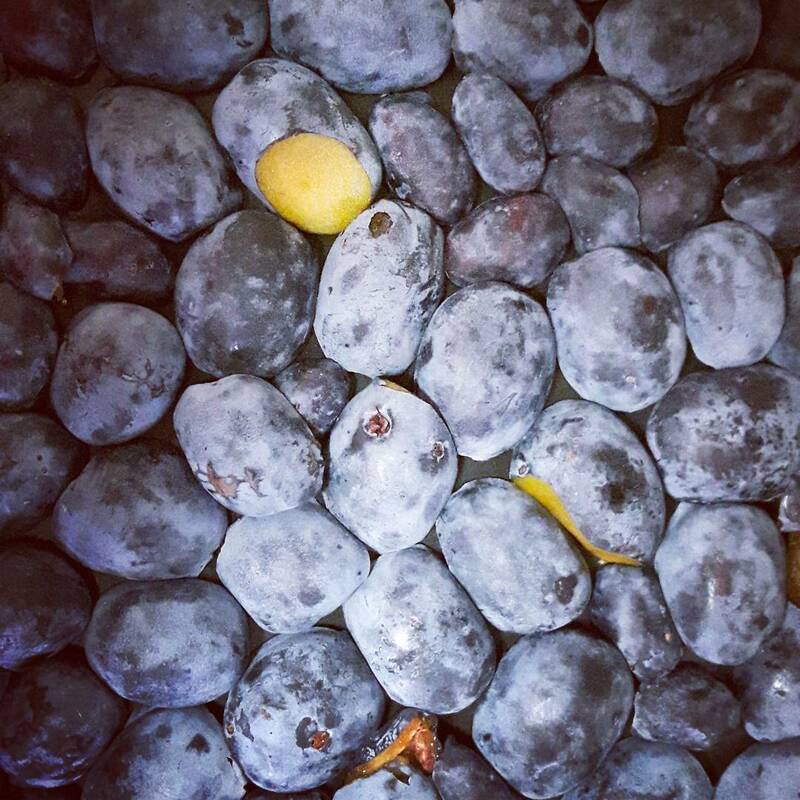 Not all of you like the taste of rum, I’m aware of it, you do not need to use it, you can replace it with a vanilla flavor or just throw it out, because this combination of plums and chocolate is fine on its own. Jam is really over quickly, 5 kg or 11lb of plums I cooked for only an hour and I got a wonderful creamy jam with small pieces of fruit. I fell in love with it and know that I can see this combination in cookies, gingerbread’s, pancakes and various cakes or even gift a jar of it to somebody special for Christmas. Be sure to try if you have the will. 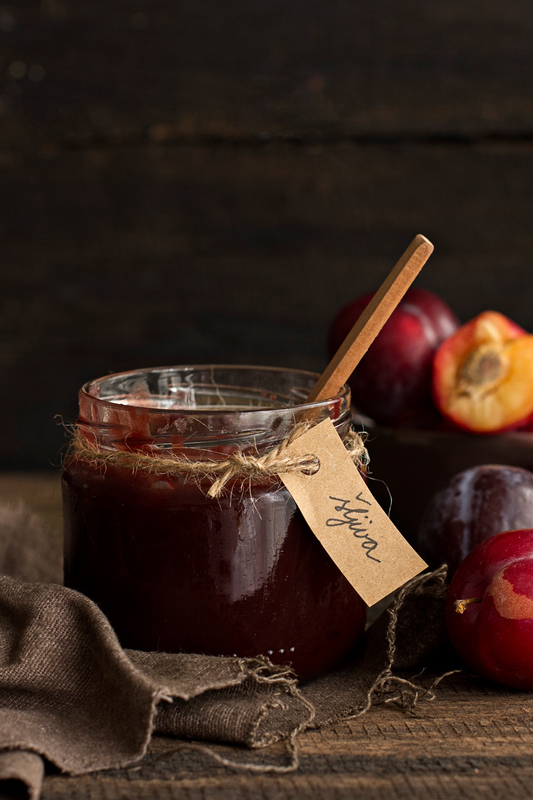 I bring you a detailed recipe for an aromatic and special plum jam in which you will fall in love. Replace the rum aroma with vanilla and freely play the flavors. Turn on the oven on 100°C or 212°F, wash the jars, in a deeper pan pour a little water to cover the bottom, place the washed jars in the pan, put the pan in the oven and leave the jars to get sterilized. The jars will be ready to take out when you do not see water drops on them (in my oven they were ready in 10 minutes). And now we make the jam. 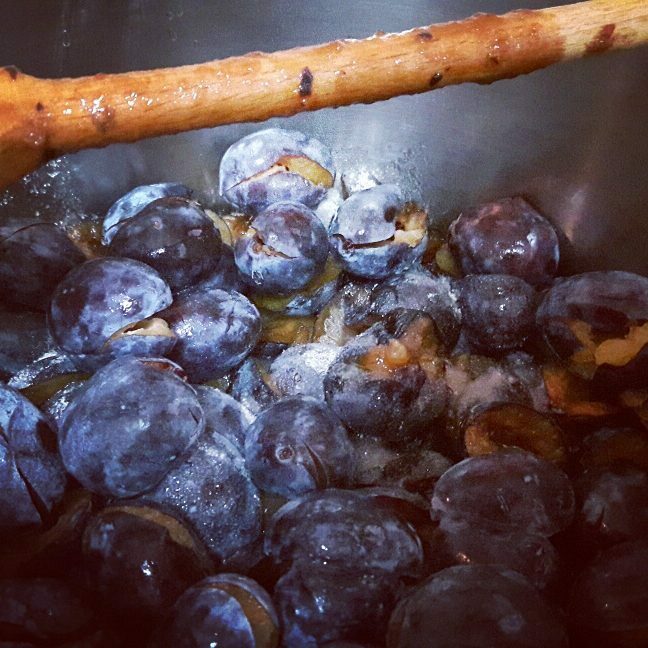 Wash the plums, clean them of seeds and place in a large pot. 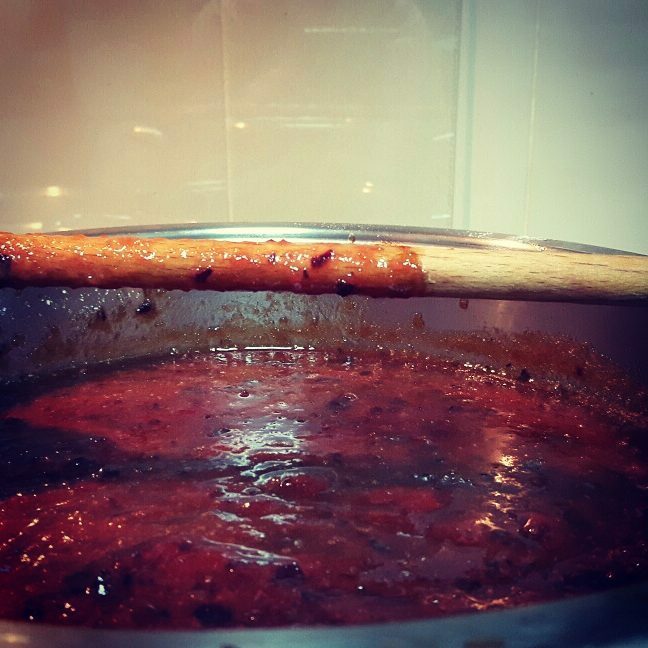 Remove from the heat, mix it with a rod mixer or a in a blender, put them back on the stove and add chocolate, stir until the chocolate is melted and mixed in to the jam and start adding rum. First add 2 tablespoons of rum, stir, then try the jam and the flavor, and if you want add 3 rum sugars to it ( for me this tasted perfectly), and if you want a more intense taste of rum, you can continue adding it just try the jam and the taste each time. After adding chocolate and rum as much as you wanted, cook for another 5 minutes, stirring constantly so the chocolate doesn’t burn. Pour the jam into previously sterilized jars, then without caps stack them in to a large baking pan. Heat the oven to 100°C or 212°F. Put the baking pan with jars in the preheated oven and let the jam cook, for about 15 to 20 minutes, depending on the oven (you should get a crust on top). Once the crust has been created, close the jars with the lids, allow them to cool to room temperature and store them in a dark and cold place.